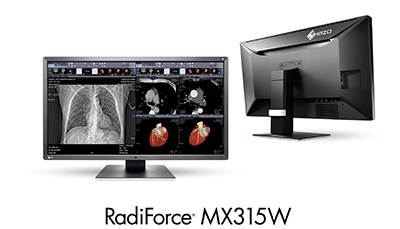 The MX315W also offers the highest brightness in the RadiForce MX Series at 450 cd/m2. EIZO guarantees 3 years or 10,000 hours of use at the recommended 270 cd/m2 brightness level, ensuring optimal brightness stability over a long period of use. A built-in brightness-sensor ensures the brightness of the monitor will stay consistent over time. Additionally the monitor supports DICOM Part 14* standard calibration.